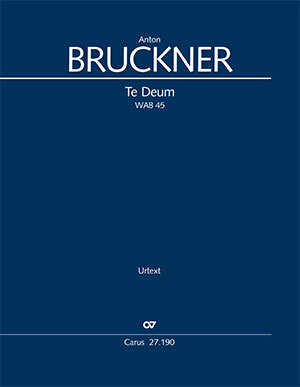 Anton Bruckner's Te Deum – a high point in the composer's output and one of the most important works of the sacred choral repertoire in the 19th century – is now available in a modern, scholarly edition. 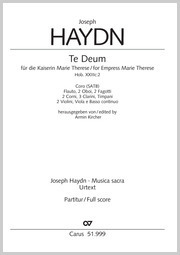 The Carus edition draws on both the two sources regarded as important, the autograph score and the first printed edition, with careful consideration given to variant readings. And so a music text has been prepared which reflects the composer's intentions as closely as possible. 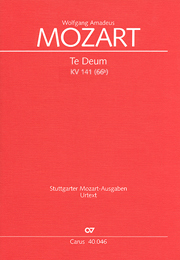 Great emphasis has been placed on a clear-to-read layout of the full score pages, as well as excellent legibility for the parts, which are available on sale. With current performance practice in mind, the clarinet parts are notated in B flat instead of A, corresponding with the first printed edition. 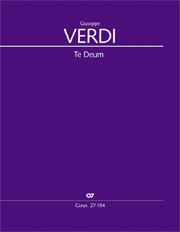 The vocal score has been newly prepared to reflect current practical requirements. As an economical alternative, a chorus score is available. 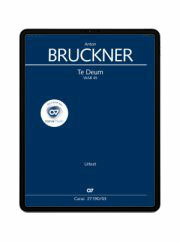 Bruckner's Te Deum is also available in carus music, the choir app. The app contains the music and a recording, as well as a coach to help with learning each choral part. 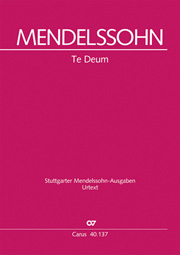 In preparation: arrangement of the Te Deum for soli, choir, brass quintet and organ. Die übersichtliche Setzung der Noten ermöglicht sowohl Chorleitern als auch Sängern ein gutes Proben. Es steht außer Frage, dass Bruckners Meisterwerk alles andere als einfach einzustudieren ist, wenngleich viele Unisono-Stellen vorkommen. An dieser Stelle sei darauf hingewiesen, dass das vorliegende Werk auch in der gut funktionierenden The Choir App von carus music erhältlich und somit ein selbstständiges Üben der jeweiligen Singstimme über iPad oder iPhone möglich ist. 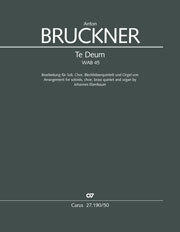 Als rundum vorzüglich bezeichne ich diese Neuausgabe des „Te Deums" von Anton Bruckner. Die mir vorliegende Dirigierpartitur und der Klavierauszug in gewohnter Carus-Qualität lassen keine Wünsche offen. Notenbild und Druckqualität sind erstklassig. Es gehört in der Tat zu den beeindruckendsten Vertonungen des Te Deum-Textes und zu einer der großartigsten Kompositionen der Kirchenmusikgeschichte überhaupt. Bruckner gelingt es in unvergleichlicher Weise, die archaische Kraft dieses uralten Hymnus' in der ihm eigenen Klangwelt zu entfalten.